This has got to be on of the most unique condo units I have ever listed! This is listed as a 1 bed 2 bath unit, but it is actually 1 unit converted into 2 efficiencies. Each efficiency has a living area with murphy bed,kitchen and full bathroom. The north side entrance is an actual door and the south entrance is a sliding glass door. 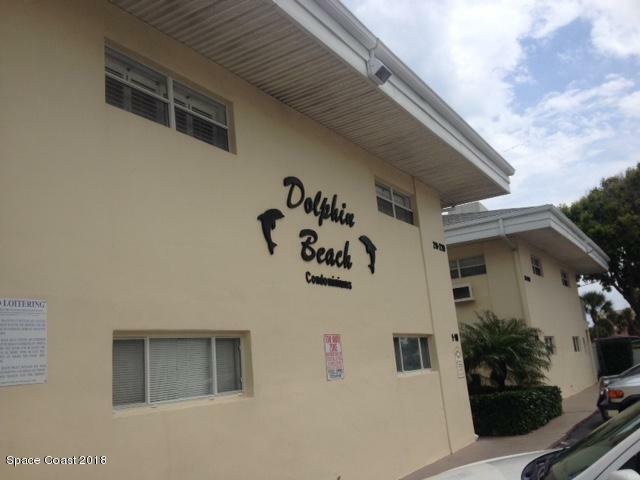 The unit itself is the second one from the beach, so very close to the beach access. Imagine, using one half of the unit for yourself and renting the other side out to pay for it all!!! There are separate electric meters for each side of the unit, but the owner pays only 1 tax bill and 1 HOA fee. The unit comes with only 1 parking pass, so only 1 vehicle allowed. There is also on site laundry. Check this unit out, it is truly one of a kind.